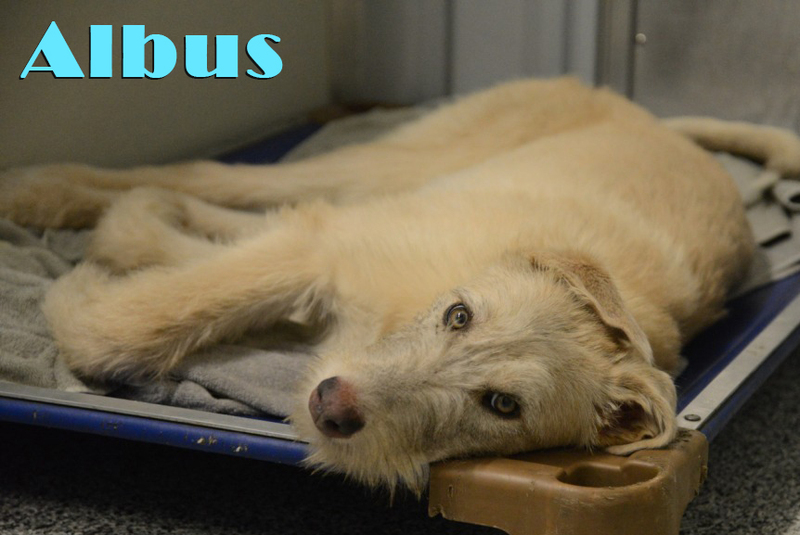 Albus is a sweet male Greyhound x Wolfhound puppy born August 18, 2018. He was picked up in Northern Alberta by NCGL when his owner became ill and could no longer care for him. He has been working very hard in his foster home to learn good house manners. Albus has learned that counters are not for paws to go on, although he is tall enough to rest his chin on them. He is learning that the backyard is were he is supposed to do his business but is still figuring out how to let the humans know to open the door when he has to go out. His foster mom is teaching him how to ring a bell! He has a wonderful start learning the English language including sit, down, wait, oops, yes and please. Albus is excited to find a home that will teach him many more English words and tricks!!! 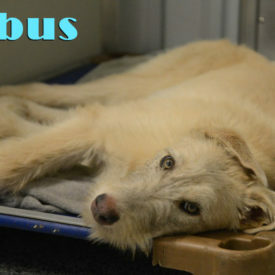 Albus is looking for an active family that understands he may have difficulty communicating with other dogs but with the right guidance and a calm introduction he has gained several good playmates. He loves to cuddle with his foster mom but due to his size and energy he would prefer to live with children no younger than 12.